The present crude oil and natural gas reservoirs around the world have depleted conventional production levels. To continue enhancing productivity for the remaining mature reservoirs, drilling decision-makers could no longer rely on traditional balanced or overbalanced methods of drilling. Derived from conventional air drilling, underbalanced drilling is increasingly necessary to meet today’s energy and drilling needs. 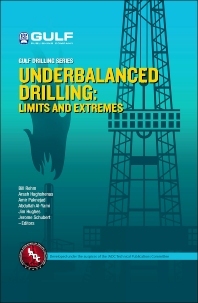 While more costly and extreme, underbalanced drilling can minimize pressure within the formation, increase drilling rate of penetration, reduce formation damage and lost circulation, making mature reservoirs once again viable and more productive. To further explain this essential drilling procedure, Bill Rehm, an experienced legend in drilling along with his co-editors, has compiled a handbook perfect for the drilling supervisor.